There was plenty action in the basement division this weekend. OFFALY ARE TOP of the Division 4 football league tonight after their third win on the spin when they defeated Wicklow by 12 points. They’re just ahead of Carlow and Longford, victors in last night’s games, as both are on five points. Antrim also picked up a badly-needed success today away to Leitrim. Offaly enjoyed a 1-12 to 2-2 lead at the break with Willie Mulhall striking their goal. DCU Sigerson Cup winner Conor McGraynor bagged two early goals as Wicklow went ahead by 2-0 to 0-2 after 10 minutes. But Offaly dominated the rest of the second-half and enjoyed a seven-point interval lead. Bernard Allen notched Offaly’s second goal late on to seal the Faithful’s triumph. Antrim recovered from the concession of an early goal to see off Leitrim by five points in Carrick-on-Shannon. Alan McLoughlin netted early on for Leitrim but then Michael Pollock cancelled that out with a goal for Antrim. The Saffron County were ahead by 1-12 to 1-5 at half-time, with Pollock, CJ McGourty, Tomas McCann and Ryan Murray all impressing. Ronan Kennedy and McLoughlin tried to get Leitrim back into the game but there was no stopping Antrim in the second-half. 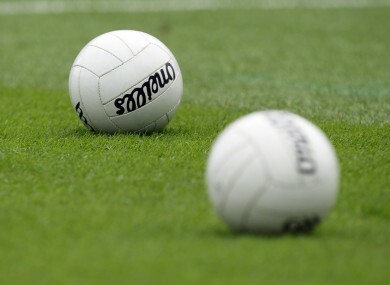 Meanwhile yesterday Carlow and Longford picked up the points on offer in yesterday’s Division 4 football league games as they claimed away victories. Carlow produced a strong second-half fightback to see off Waterford at the Fraher Field last night. Waterford were ahead 0-7 to 0-2 at the interval with Shane Ahearne chipping in with four points. Mark Ferncombe, Patrick Hurney and Michael O’Halloran also raised white flags while Carlow only notched two points in the opening period with the second of those points arriving at the very end of the half. Waterford continued to hold the upper hand initially in the second-half and were in front by 0-9 to 0-5 with Ahearne frees leaving them four points to the good by the 56th minute. But gradually Carlow reeled them in with points by Brian Murphy and John Murphy helping them draw level at 0-9 apiece with five minutes left. They capped their comeback with points from Sean Gannon and a Brian Murphy pointed free handing them a two-point win. Success maintains Carlow’s positive start to the league after an early draw with Antrim and a win over London. Earlier yesterday Jack Sheedy’s Longford, who have previously drawn with Leitrim and defeated Antrim, were too strong for London in Ruislip. Despite the loss of injured pair Michael Quinn and Brian Kavanagh, Longford had 15 points to spare over their opponents. Longford were ahead 0-8 to 0-2 at half-time before Paul McKeon grabbed the only goal of the game ten minutes into the second-half. Francis McGee struck 0-4 for Longford while Alan O’Hara grabbed 0-3 for London. Email “Offaly top of Division 4 league table as Carlow, Longford and Antrim also claim victories”. Feedback on “Offaly top of Division 4 league table as Carlow, Longford and Antrim also claim victories”.